Grab a partner and break out a sweat, together. This couple workout is one that you can do anywhere. There's no gym equipment required. PumpUp member @rachaelgervais and her partner even filmed this couple workout while they were on vacation. Try it out and let us know how it goes. It's important to brace your core throughout all three movements. Improve your stability and upper body strength with three quick moves! If you thought that burpees were tough, wait till you try bosu burpees. Your core muscles will fight to keep you steady throughout this quick upper body workout. It's okay if fancy resistance equipment isn't within your budget. Get creative and grab paper towels or dish rags instead! This full-body paper towel workout by PumpUp member @rachaelgervais can be done on any flat, smooth surface. It's reminiscent of popular TRX group training classes, but you don't need an expensive gym membership to perform the exercises. With paper towels placed at the bottom of your feet and beneath your palms, simple workout moves become much more challenging. Try our full-body paper towel workout. You'll hardly need to spend a cent and you'll break a sweat! Begin with your body raised in a plank position. The paper towels should be positioned beneath your feet, toward your toes. Engage your abs and push your hips upward toward the ceiling, bringing your lower body toward your chest and keeping your legs straight. Slide your feet back into a raise plank position, then lower your body down towards the floor. 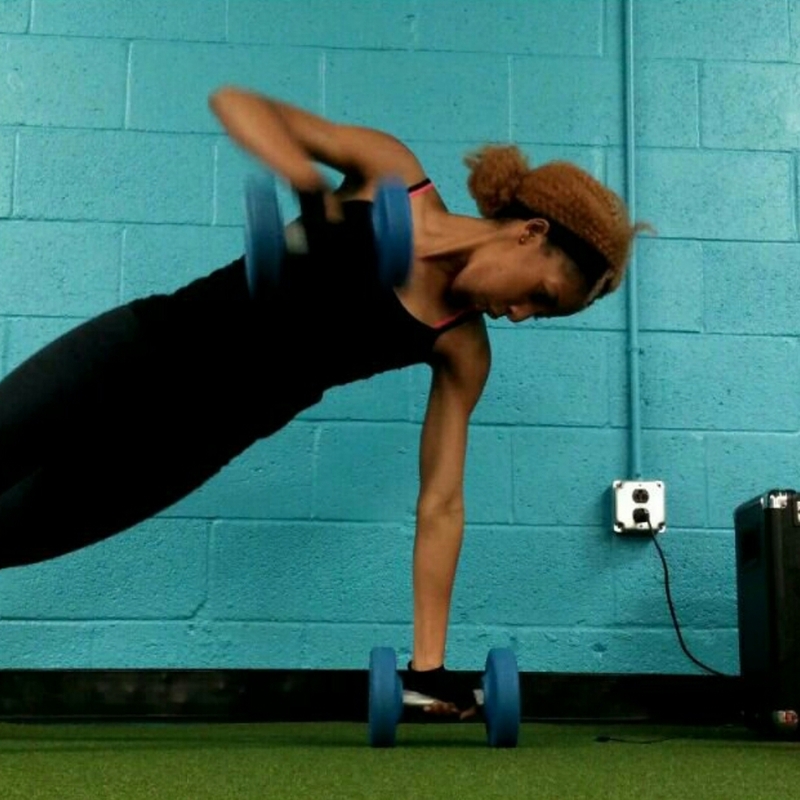 Do a push-up, keeping your elbows pressed at the sides of your body. Repeat 12 times. Begin in a raised plank position, with the paper towels positioned at the ball of each foot. Lower your body straight down toward the floor. As you do so, slide both feet laterally and outward past the sides of your body. As you bring yourself back up to plank, push your arms straight up and slide both feet back to center. Repeat 12 times. Start in a raised plank and keep the paper towels at your feet. Drive one knee toward the opposite shoulder, sliding your foot as you go. Return to plank and immediately repeat with the other leg. Bring foot back to center and slide both legs outward, extending past the sides of your body. Repeat 12 times. Keep the paper towels beneath the palms of your hands. Lower your body toward the ground and slide your hands out past the sides of your body, in a wide-grip push-up position. Promptly bring your body back up to a raised plank, sliding both arms back to center. Make sure to keep your spine straight throughout the entire movement. Legs remain stationary and together, extended straight behind you. Loved this full-body paper towel workout? This modification is an inexpensive, yet effective way to make bodyweight exercises much more challenging. Do the moves slowly and with caution in order to avoid injury. Try any of these exercises today and let us know what you thought of them in the comments below! HIIT us with your best shot and give your workout your all. Head outdoors to try this no equipment full body workout from PumpUp member @rachaelgervais. You'll be sweaty and ready to tackle whatever comes your way with just three moves. Each set is twelve repetitions. Rest for 30-60 seconds upon completing these three moves, then repeat the circuit 2-3 times. Do a vertical jump from a standing position, arms raised in the air. Plant your hands firmly on the ground and jump both feet back behind you. Lower your entire body down into a pushup, making sure that your neck is in line with your spine. When you come up from the push-up, cross one knee towards one side of your body and swiftly return it back to plank, alternating the same movement with your other knee. Do four repetitions of mountain climbers before you push back up into a burpee. Bring your body down into a high plank. Your wrists should be in line with your shoulders, heels off the ground. Raise one leg up straight into the air, then tap it back down. Repeat the movement on the other side. Do 12 leg raises on each side before you move on to the next exercise. Lower yourself on the ground into a plank position, keeping your elbows pressed to the sides of your body. Raise one leg and bring your body down. Do six push-ups in total before you repeat the movement with your other leg raised. Loved this no equipment full body workout? Find more workouts here. Earn points for doing 15 minutes of high intensity interval training for our June fitness challenge. Learn more about it here.